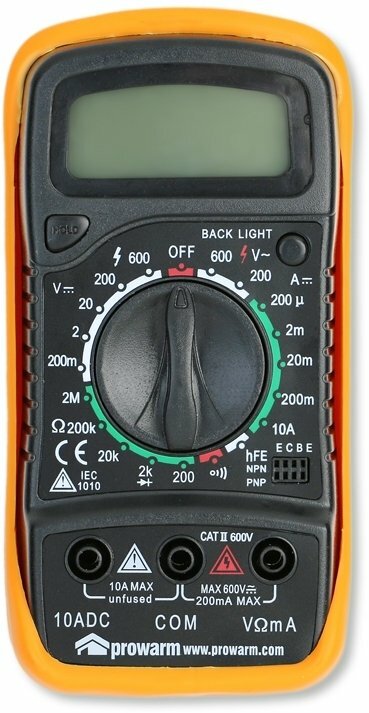 Digital multimeter: for testing the restance of heating cables and mats during and after installation. Testing is required as a condition of the manufacturers 25 year warranty. Supplied with battery and instructions. Many uses around the home and garden such as checking fuses and electrical circuits.